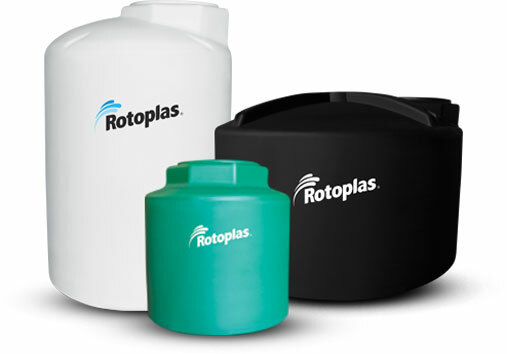 Liquid Handling Products Inc., is an Authorized Distributor of Rotoplas&REG; Tanks. 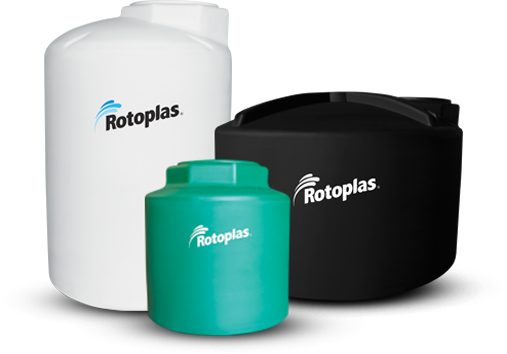 Rotoplas is a globally recognized leader in the design and manufacturing of water, agricultural, and chemical polyethylene (HDPE) storage solutions. Click the links obove to view our inventory of Rotoplas&REG; Water Storage Tanks, Agriculture Storage Tanks, Chemical Storage Tanks, and Rain Harvesting System Tanks. 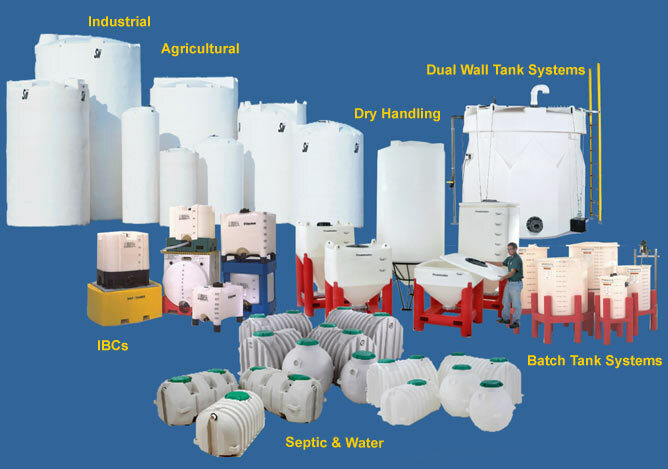 Liquid Handling Products Inc., also stocks and ships many of the Snyder&REG; brand tanks and accessories listed below. 1-800-221-3233 Call us direct for product availability and a free price quote! 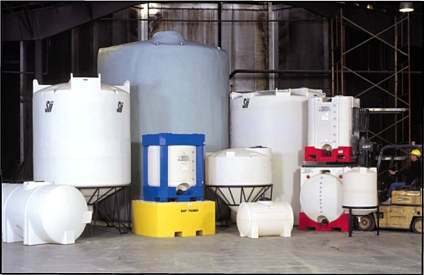 Designed to be used in various Agriculture and Industrial liquid applications, Snyder Tanks, sold by Liquid Handling Products Inc. provide high quality liquid handling solutions. Every tank is manufactured and/or assembled locally in the U.S.
Industrial Product Line - A full range of polyethylene tanks including: Vertical, Utility, Open-top, Cone Bottom, Containment Basin & Horizontal. Also featured is our extensive line of accessories to complete your project, including: Stands, Skids, Cradles, Fittings, Gaskets, Siphon Tubes, Equipment Platforms, Ladders, Heat Tracing & Insulation. Portable Bulk Containers and Bins - Portable bulk containers and bins for the storage, processing, and transportation of bulk liquids, powders, and solids. Product offerings Include D.O.T. approved IBC's, FDA and USDA approved container constructions, sanitary connections, disposable/replaceable liner systems, and a complete line of fittings and accessories. Snyder Industries Inc. is a leading manufacturer of polyethylene tanks and containers for the storage, processing, and transportation of bulk materials in the agricultural and industrial markets. Snyder also specializes in custom rotational molded design and engineering of large durable plastic products for a variety of industries and applications. 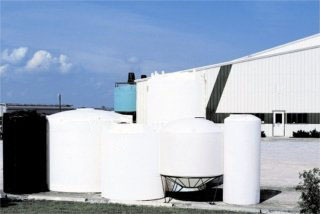 Founded in 1957, Snyder Industries has grown to become a recognized leader in the design and manufacturing of plastic bulk storage, processing and transportation tank systems. Their engineered bulk handling container solutions incorporate seamless, polyethylene tank constructions produced through the latest technologies within the rotational molding process. Snyder Tanks are molded with a variety of polyethylene materials, including FDA and NSF 61 approved high-density (HDLPE) and cross-linked high-density (XLPE) resins. Snyder Industries' tank engineering team is responsible for a multitude of poly tank processing and design patents, which are utilized to produce plastic tank solutions that exceed the safety and performance requirements of our customers at the lowest possible cost. In addition to their broad proprietary product line of poly tanks and containers, Snyder Industries is also a unique resource for select custom molding applications that require a high degree of engineering and manufacturing expertise within the rotational molding process to develop large durable plastic products. We at Liquid Handling Products Inc. look forward to serving your company in the months and years ahead. Feel free to browse our site and Contact Us at your convenience for information that would assist you learning more about Snyder Industries and how we can help your company. Our experience in poly processing provides our customers with the largest selection of liquid holding tanks for the economic storage and application of water as well as agricultural fertilizers and industrial chemicals. An innovator, with a proven ability to solve your materials storage/handling problems. vertical flat bottom storage - 22 gallon through 16,500 gallon Fertilizer tanks for storage or agricultural chemicals. applicator tanks - horizontal saddle mounts and leg styles 25 gallon through 1000 gallons, lawn and garden spot sprayer tanks 8 - 25 gallon, PCO's, Utility or Pick Up Truck tanks, elliptical, and liquid feeder designs. conical bottom tanks - drainable 17 gallon mix tanks, through 11,850 gallons tanks in 30, 45 and 60 degree cones with engineered, welded steel stands. Our commitment to quality is an important part of "Our Mission" to provide our customers with application and bulk handling container solutions that exceed their safety and performance requirements at the lowest possible cost. We have been at the forefront of proving and improving the ability of plastics to provide products that are lighter, stronger, and more cost effective than other materials. The seamless, single piece construction gives them long life and makes them a better value.